Nestled behind the sparkling ocean of the Sunshine Coast is a quintessential country escape; a stunning countryside filled with quaint village towns scattered throughout and all within an hour’s drive of Brisbane. 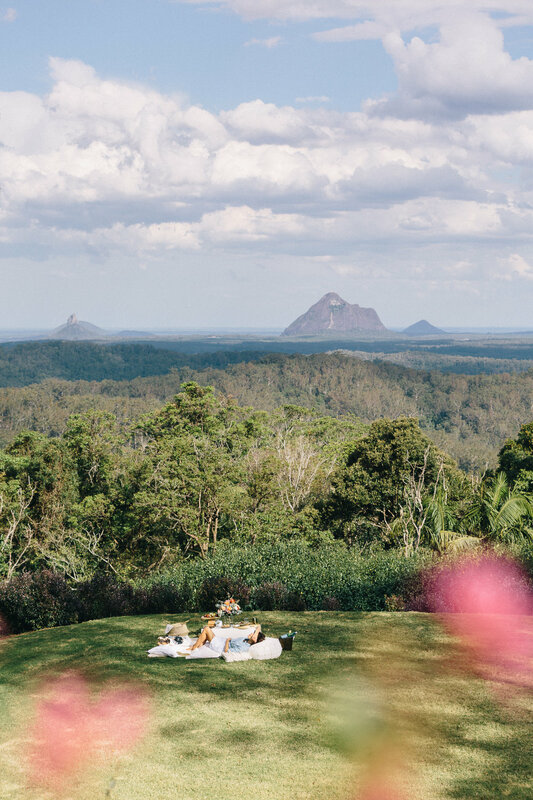 Our perfect escape began with the idyllic rainforest setting of the Maleny Botanic Gardens with an incredible vegan picnic and a spectacular birds-eye view of the Glasshouse Mountains as our backdrop. We enjoyed the afternoon sun on our skins, the scent of beautiful flowers and the nourishment our bodies received from the fresh food. With full bellies we retreated to the exquisite Spicers Tamarind Retreat. Surrounded by lush rainforest we enjoyed a warm bubble bath and a book, and then settled in for an early night. Waking to the singing chorus of kookaburras – something I truly love about Australia – we watched the first light of the day sweep across the unmistakeable peaks of the Glasshouse Mountains, draping everything in gold as the valley came to life. 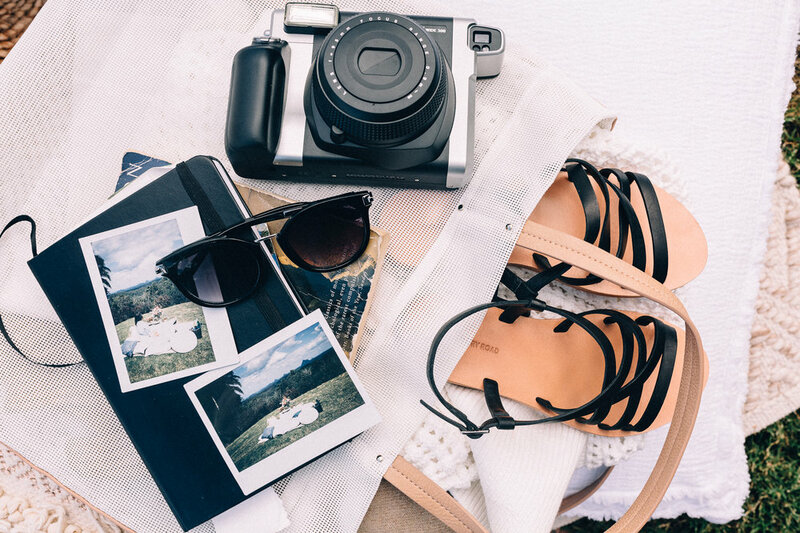 After a delicious breakfast and a wander through the charming little shops in Maleny, the next destination on our map was the beautiful Mary Valley. After a short scenic drive we arrived at Yabbloumba Retreat, nestled amongst the Conondale Ranges and bordering the Imbil State Forest, to our Pitch Luxury Camping tent, our home for the night. We walked barefoot on the grass sharing the views with kangaroos, baby lambs and calves. There was no reception here, so it was perfect setting to switch off, read our books, play card games, drink some tea and sit in complete silence. We cooked a beautiful camp dinner and then fell asleep under the blanket of stars. Later, we found ourselves eating lunch in the Amamoor State Forest . Feeling blissful we lay in the sun and had an accidental afternoon nap before meeting up with a local guide from Ride On Mary for an evening along the Mary River. The dusk kayaking experience through the slow moving creek left me feeling inspired, thoroughly enjoying time slowing down and our passionate conversation about Australia’s native animals and the importance of conservation. 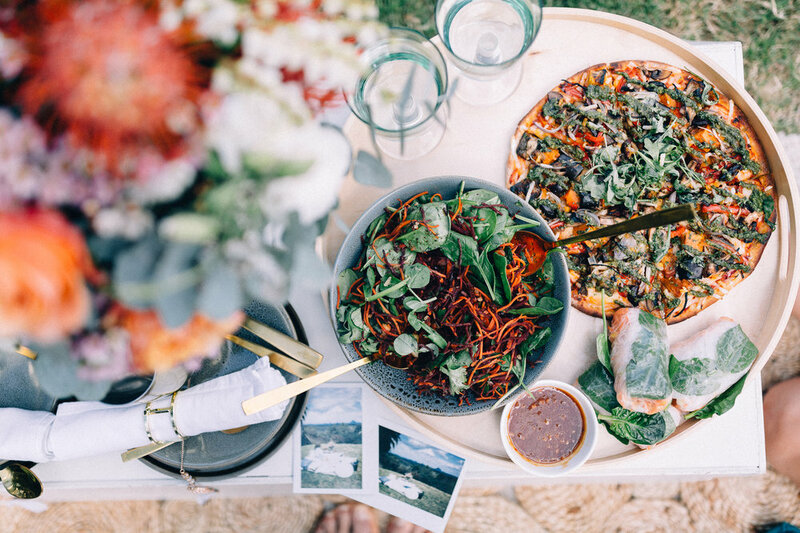 Our last and final night on the journey was exceptional, the lovely owners of Melawondi Spring Retreat made a phenomenal vegan smorgasbord platter bursting with local produce. We shared some wine and meaningful conversation, before unwinding and slipping into total seclusion in the countryside and a magnificent free-standing spa bath. A special thank you to VSC who helped (a lot) with the planning of this incredible adventure.